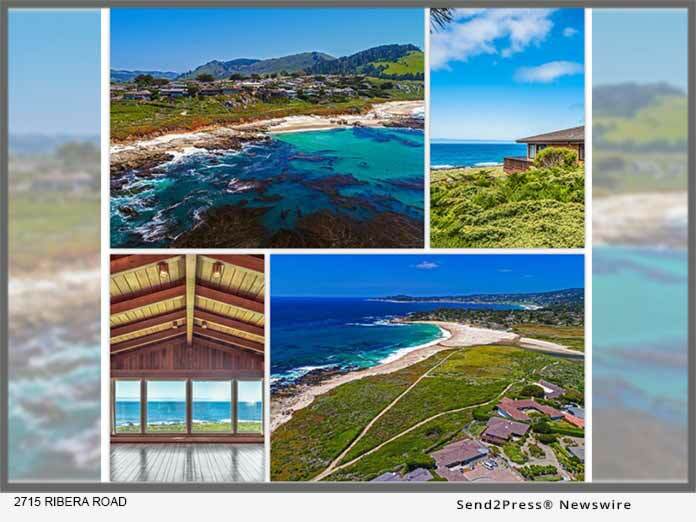 CARMEL, Calif., Dec 03, 2018 (SEND2PRESS NEWSWIRE) -- Jonathan Spencer Properties has announced a rare opportunity to own an oceanfront slice of heaven in sought-after Carmel Meadows. To live in Carmel Meadows is to live in arguably one of the most gorgeous and glorious places imaginable. At over 4,200 square feet, this 5-bedroom and 3.5 bath property offers a beautiful canvas for the next owner to create a showpiece refuge in an exquisite setting that captures the senses and inspires the mind. 2715 Ribera Road is nestled in the popular small community of Carmel Meadows known for its idyllic setting and convenience to downtown Carmel capitalizing on the best of both worlds; remote privacy at home yet minutes away from the best of what Carmel-by-the-Sea and Pebble Beach has to offer. It is not a surprise that home availability in this ideal neighborhood is scarce making this home the perfect opportunity to seize. From the close proximity to top-notch dining, wonderful shopping, boutique wineries, and the world-renowned Pebble Beach Golf Links this superb home's ultimate location is ideal in every way. Top Carmel and surrounding area producer, Jonathan Spencer, has not only been ranked Top 100 Realtor at Coldwell Banker but has also received Rookie of the Year honors and has closed over $66 million in high-end luxury sales. He is known for his unparalleled real estate marketing expertise, his attention to detail, and for his excellent professionalism providing top customer service. Jonathan is constantly on the forefront of implementing cutting edge strategies to get his client's listings mass exposure. He continues to surpass the luxury real estate competition in Carmel and surrounding areas, year after year, all while maintaining a reputation for doing business with a prodigious work ethic.